• Be realistic with price. If you set the listing price higher than the current market value of your home, then you’re not going to get many, if any, viewers. You want the list price to be attractive, which means listing at the current market value. • Get things fixed. You probably don’t have time for a major renovation. So just make sure everything in your home is in good working order. Deal with any obvious maintenance issues, such as a leaking faucet or a gate hanging precariously on one hinge. • Ensure your home shows well, inside and outside. Eliminate clutter. Trim hedges. Make sure every room has adequate lighting. Imagine that a special guest is visiting your home, and clean up and prepare accordingly. • Be flexible with viewing times. You want as many potential buyers as possible to see your home. So, don’t restrict viewing times to just Saturdays. Make sure your home is as “available” as possible for showings. This may cause you and your family some inconvenience, but the reward will be selling your property sooner. • Work with a real estate agent like me who understands the area and the local market well. 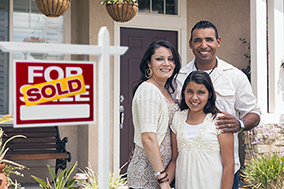 I will be able to recommend a variety of strategies that will help sell your home faster, and for a good price.